Super Saver: Why Spurs are the true Premier League stars and Bournemouth could do better! While Leicester storm towards the real Premier League title, it is Spurs who should be walking it. In fact, if there were no goalkeepers in the Premiership, Tottenham would be 11 points clear. With nearly 165 shots on target, compared to just 69 shots on targets against, Spurs have consistently dominated the Super Saver alternative league, a league where we take all the football stats and imagine how teams would fare if goalkeepers just didn’t exist. Skewing the stats this way shows some real weaknesses…and strengths in teams and their keepers. Kasper Schmeichel has been part of the reason Leicester are top of the real league, helping his side to being four places higher than they ought to be. 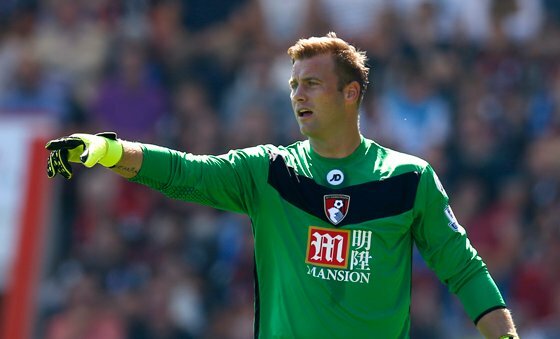 At the other end of the scale, Simon Mignolet and Artur Boruc (pictured) are preventing their sides (Liverpool and Bournemouth) from competing where they should be. The Reds should be in the Champions League places but instead lie in ninth place in the real league. Instead of buying a keeper in January, Liverpool gave Mignolet a new five year contract. It seems many teams just don’t know what to do with their millions. Take a wee look at our alternative table, and look how different the league would look. I’m sure even Louis van Gaal would be out of a job at United if this was the real league!